Brown said Derenda retired effective midnight, January 17, "to pursue an opportunity in the private sector." "Police Commissioner Daniel Derenda has faithfully and dutifully served the City of Buffalo for more than thirty years," said Brown in the statement. "Public safety has been a top priority for my administration and the work of Commissioner Derenda and the Buffalo Police Department has yielded a 40 percent drop in crime, with over 15,500 illegal guns removed from our streets since 2006. During his tenure the city has achieved the lowest annual crime rate in our history, improved community-police relations and modernized our police force. I am thankful to Commissioner Derenda for his service to our entire community and his dedication to the city's public safety." Derenda rose through the ranks of the BPD, starting as a patrol officer, then detective, detective sergeant and deputy commissioner of operations. He was appointed commissioner by Brown in July 2010. 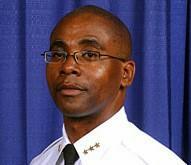 Byron Lockwood has been appointed Buffalo Police Commissioner, effective immediately. "Pursuant to City Charter Section 13-2, Mayor Brown will fill the vacancy in that office with the immediate appointment of First Deputy Police Commissioner Byron C. Lockwood as Police Commissioner," the statement said. Longtime Common Councilmember Dave Franczyk told WBFO Derenda grew up "in the shadow of the Central Terminal." Franczyk remembers when he first met Derenda. "It must be about 30 years ago that a young Dan Derenda came to my office with his father and he expressed his interest to me that he wanted to become a police officer," Franczyk said, "and Jimmy Griffin was mayor and, I said, 'Anyway I can help Dan become a police officer, I'll try to help.'" Franczyk said he is "surprised" by the departure, as all city commissioners were re-appointed at the beginning of the year and "no mention was made" at the time. Franczyk said Derenda "will be missed because I thought he was a great commissioner," as he always responded quickly to concerns in his Broadway-Fillmore District. "Under Derenda the crime cameras were going up throughout the city, in the high-crime areas, and the body cameras now are going to happen, so al of those innovations, I think, are very, very important," he said. "People are very concerned that the next commissioner will be ahead of the curve on all of these things and has to be a compassionate person that understands the diversity of Buffalo's neighborhoods. That's critical." Franczyk said the next commissioner also needs to concentrate on raising the number of homicides solved. In his more than 30 years as a Councilmember, Franczyk said the crime rate may have decreased, but so has the number of solved murders. 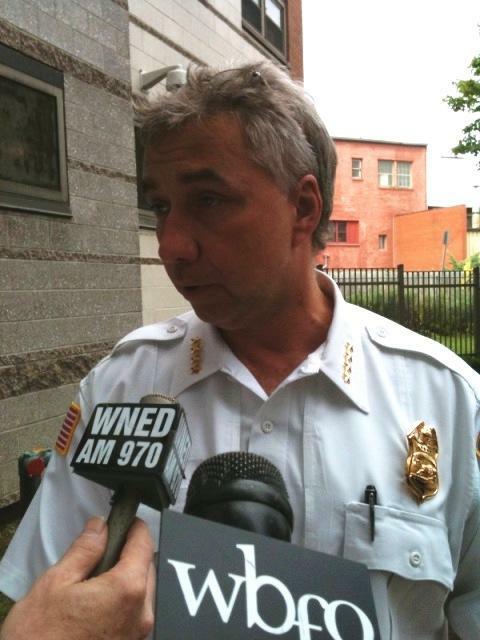 Buffalo, NY – Daniel Derenda was nominated Tuesday as the city's next police commissioner. Buffalo Mayor Byron Brown said Derenda's leadership will continue to bring innovative and creative policing tactics to the department. Buffalo conducted a national search for a candidate, while at the same time, Derenda served as interim commissioner. The City Charter allows interim appointees to serve a maximum of 180 days in a position and Derenda's appointment was due to expire at midnight Wednesday. Buffalo, NY – Assemblyman Sam Hoyt is expressing his opposition to the appointment of Interim Police Commissioner Daniel Derenda to the full-time role. Writing to Councilman Joe Golombeck, Hoyt applauded those Council members who are pushing for a delay in Derenda's confirmation. Hoyt criticized Mayor Byron Brown and his administration for not being more forthcoming with information regarding the national search for a candidate. Hoyt suggests that the mayor was focused on Derenda all along. Buffalo, NY – Mayor Byron Brown resubmitted his nomination for Buffalo Police Commissioner and now it could be up for a vote Wednesday afternoon. The Common Council has called for a special session. Wednesday's special session could determine the fate of Daniel Derenda. The Mayor resubmitted the nomination in an attempt to get it out of committee for a vote before lawmakers head out for summer recess. Lawmakers did not have the needed votes to bring it out of committee at Tuesday's session. 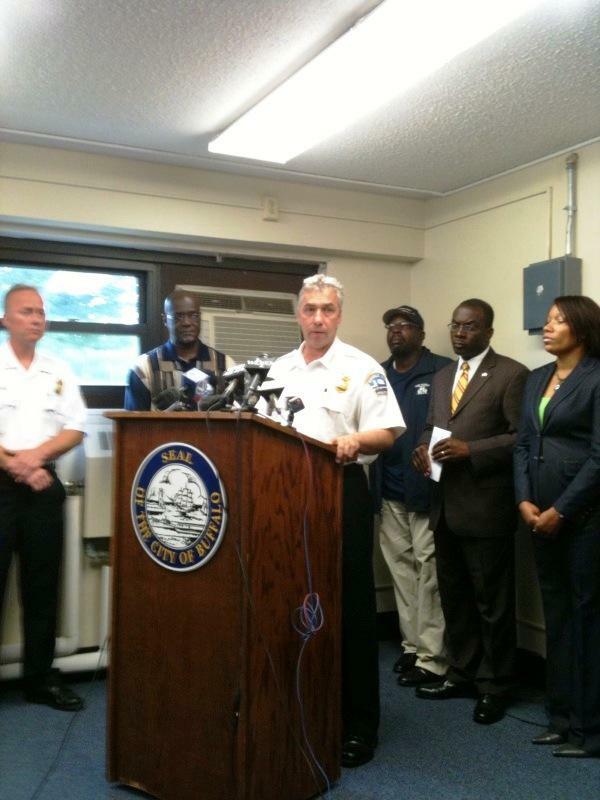 Buffalo, NY – The City of Buffalo has a brand new police commissioner. The Mayor's controversial nomination of Daniel Derenda was approved in a special session of the Common Council Wednesday. Despite concern by some lawmakers that the City failed to prove it held a national search for the job, Derenda got the nod. The vote was five to four.